150x70x2cm Hand-painted original for your walls. 210x80x2cm A hiqh-quality hand-painted picture. 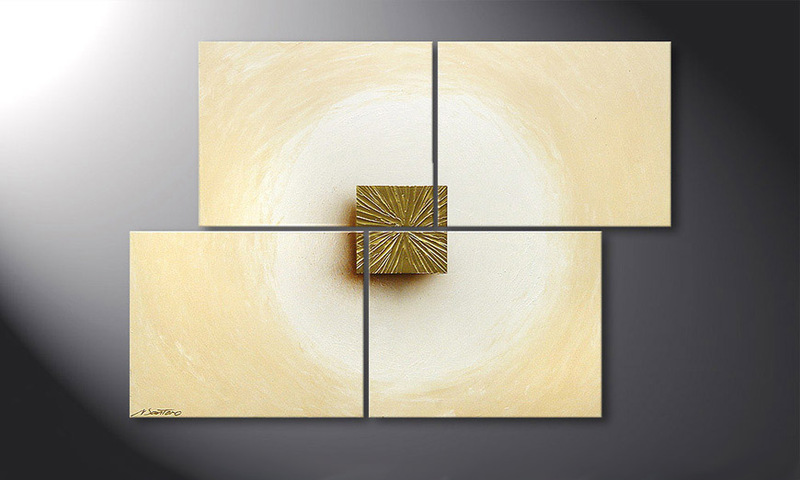 This wall picture Painting "Golden Cube" 115x80cm is a hand painted, not an art print. It consists of 4 panels with a width of 120 cm (without spaces). Gold, Beige are the main colours of this picture. Good painting but very difficult to hang.